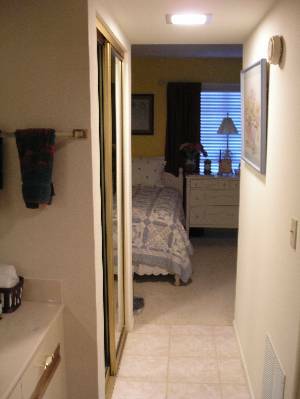 Ground floor unit with enclosed patio on green belt in the prime North Phoenix area adjacent to the Pointe Hilton Resort Hotel and Squaw Peak Park. 2 master suites separated by the living room, each with a full bath and shower and dressing area. 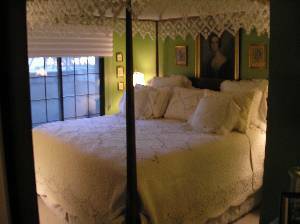 One bedroom has a charming 4 poster canopied king size bed and the other has twin beds. The living room has a real fireplace. 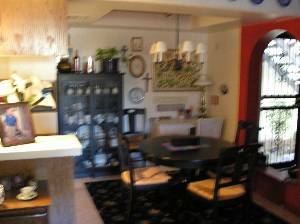 Dining area and roomy kitchen with all new appliances. 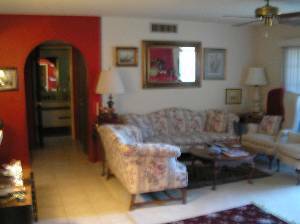 Wall decorations, wall paint schemes, pictures, lamps and top quality living room furniture that turn this from the typical stark white, minimally furnished rental into a warm, comfortable home Large HD TV with many channels and DVD player included. The complex has two pools, each with a jacuzzi and barbeque area with tables and chairs. One is only a short half block from the unit. The Pointe area is off 16th Street and Glendale Avenue, and about 4 blocks from the 51 Freeway which accesses the entire Valley of the Sun. 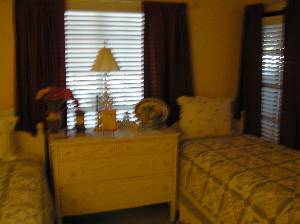 Affiliated with the Pointe Hilton Resort and its pool, rafting stream and tennis courts. 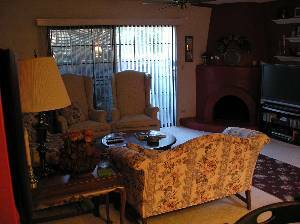 Close by is the North Mountain Preserve with hiking and biking trails. There are ten golf courses within a 7 mile redius. The Super Bowl is less than 30 minutes away, and Scotsdale and the many high end shops and restaurants in the Biltmore area at 24th Street and Camelback are less than 15 minutes away. 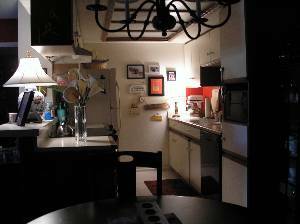 The unit, the facilities, and the surrounding area is great for one or two couples and/or families. This unit has just been put on the market for the first time on short notice, and pictures are in process. They will be furnished upon contact. Cancellations and Refunds: Cancellations less than one month prior to monthly occupany or two weeks prior to sweekly occupancy will forfeit deposit. 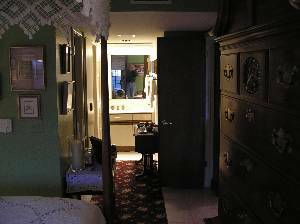 Our on-site housekeeper will clean before your arrival and again at your departure Should you desire further services, you may contract directly with her. That information is available at the time of booking.